New hardwood floors are a great way to liven up your home and may even increase its value. 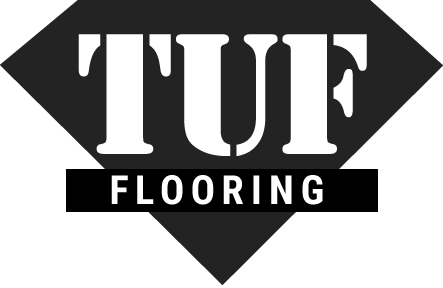 At TUF Flooring we have a variety of hardwood flooring options to choose from that will appeal to a wide range of budgets and lifestyles. If you want to be sure your new floors look the way you want and wear as you expect them to, your best bet is to have them installed by a professional hardwood flooring specialist. An experienced installer knows the differences between the various types of hardwood flooring available, and will have required skills and tools needed to do the job right. If you do plan to install your own hardwood flooring, you should check the manufacturer’s approved installation guidelines and warranties before you get started. Consider the fact that a professionally installed hardwood floor is more likely to be covered by the manufacturer warranty. Hardwood flooring requires a flat, clean surface for a proper installation. To get the area for your new flooring ready, you might need to remove your existing flooring. 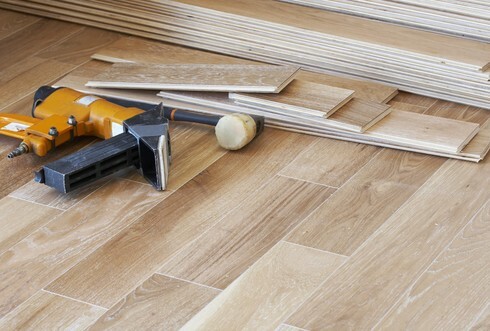 This process will be different for different types of existing flooring and there may be extra work and difficulty involved if your previous flooring is glued down or set in tile adhesive. Calling in a pro for this work is a good idea, since a professional hardwood specialist will have all the necessary tools and knowledge to do the job right and decide when the flooring surface is ready. A pro may also be able to assist with the disposal of your old flooring. Be sure to get a walkthrough of the job from the lead installer to give you a concise idea of what the work involved and ask them any questions you have about the job. Stay off your new floors for the suggested amount of time after the job is done. The stain and varnish that has been used on the surface will need time to cure properly. The lead installer will be able to advise you on how long this will take.